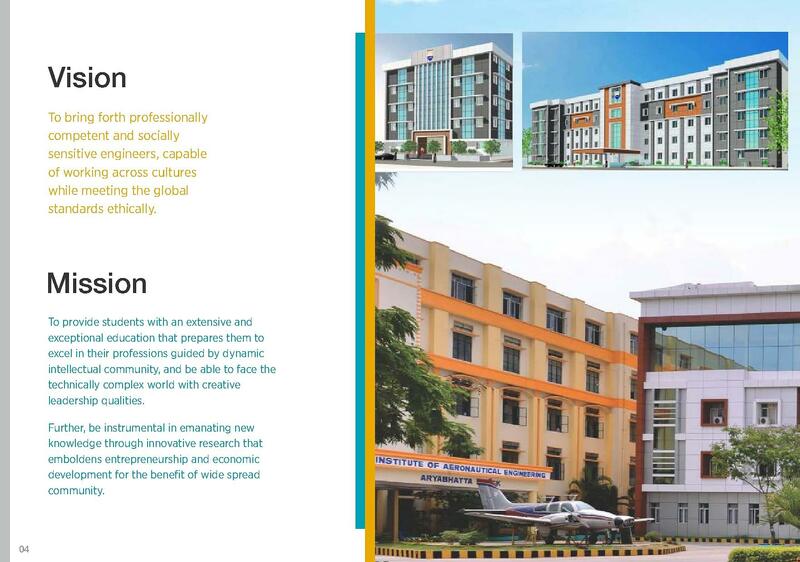 Institute of Aeronautical Engineering (IARE), Hyderabad was established in the year 2000 and is run by Maruthi Educational Society with a mission ‘Education for Liberation’. The institute is approved by AICTE, New Delhi and is recognized by Govt. of Telangana & UGC. 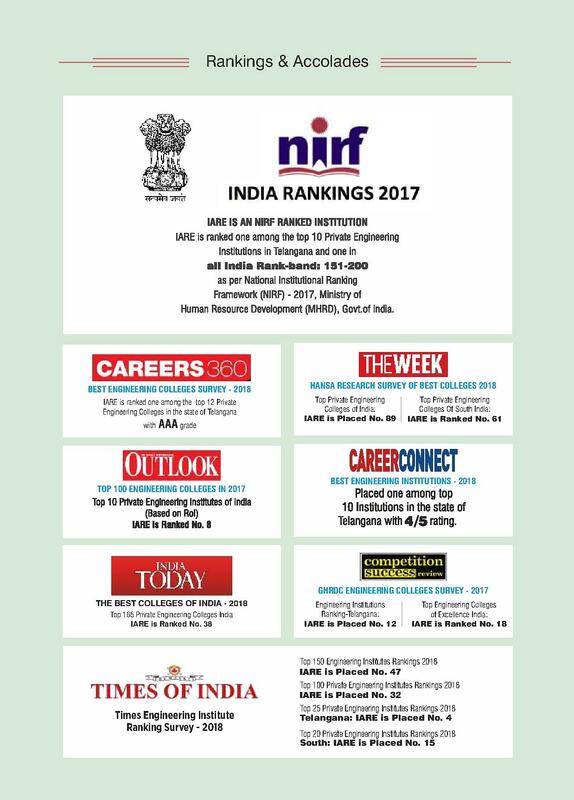 Further, the institute is permanently affiliated to Jawaharlal Nehru Technological University Hyderabad (JNTUH) and accredited by NAAC with ‘A’ Grade. 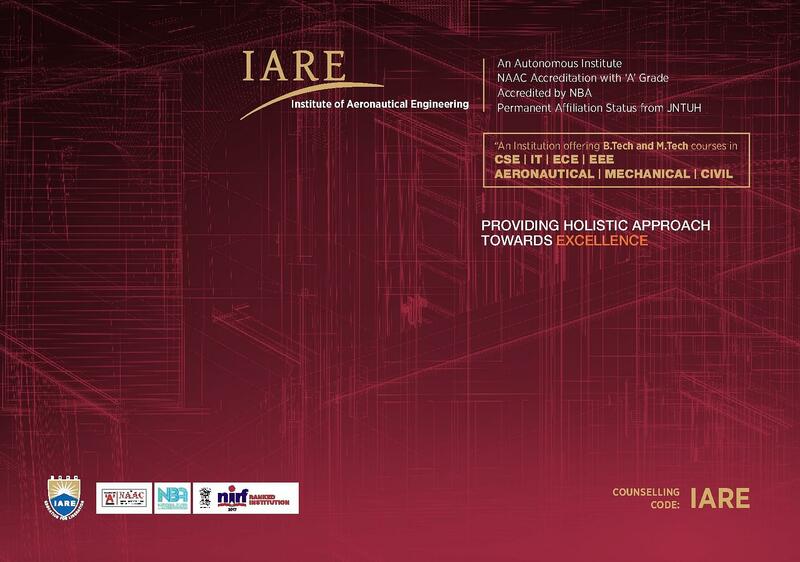 IARE is a prestigious Autonomous engineering college offering Bachelor of technology, Master of Technology and Master in Business Administration program in various specializations. 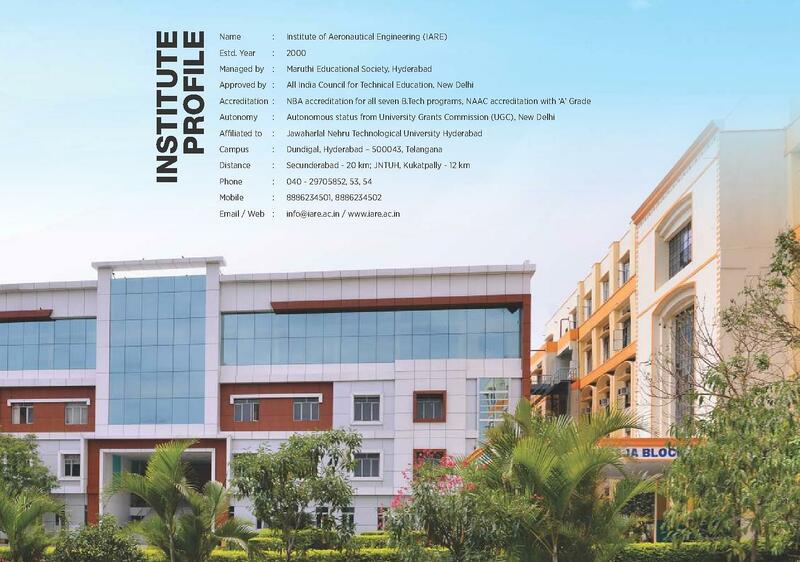 All the B.Tech programs of IARE are accredited thrice by National Board of Accreditation (NBA), New Delhi since 2008. For detailed course and fee structure, click here. The Institute of Aeronautical Engineering offers B.Tech in 7 specializations. The B.Tech program of IARE Hyderabad is of 4-year duration where eligibility is given below. Intermediate (10 + 2) conducted by the board of Intermediate Education, Govt. of Telangana / Andhra Pradesh or any other examination recognized as equivalent thereto with Mathematics, Physics, and Chemistry as optional subjects. Scores obtained in TS PGCET/ Rank in GATE Entrance Exam/ Merit as per the guidelines of TSCHE. The Institute of Aeronautical Engineering offers MBA in Business administration. This program is of two-year duration. For admissions in Institute of Aeronautical Engineering (IARE) MBA, a candidate must hold a bachelor degree in any specialization. However, admissions in the institute are subjected to score in Integrated Common Entrance Test (ICET), conducted by Govt. of Telangana. 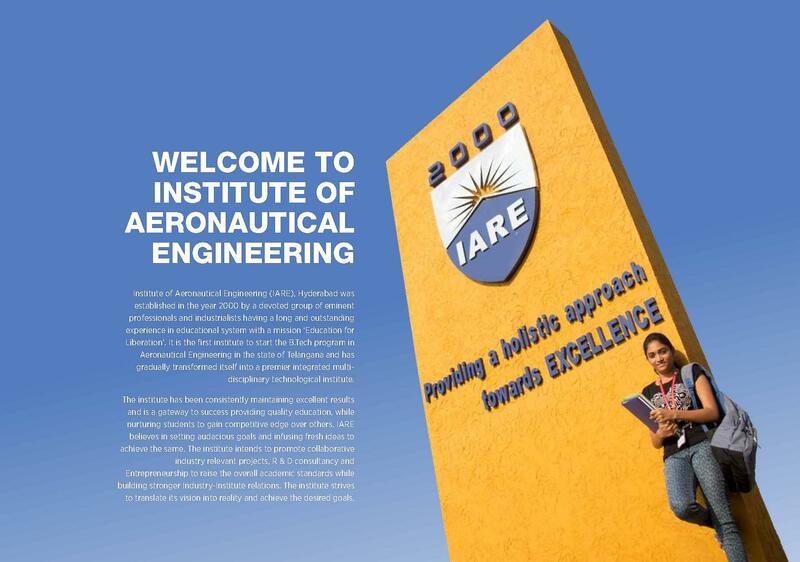 Institute of Aeronautical Engineering (IARE) has a Placement and Training centre (PAT) established to function with an aim to mold students to meet the corporate expectations and to place them in reputed companies. 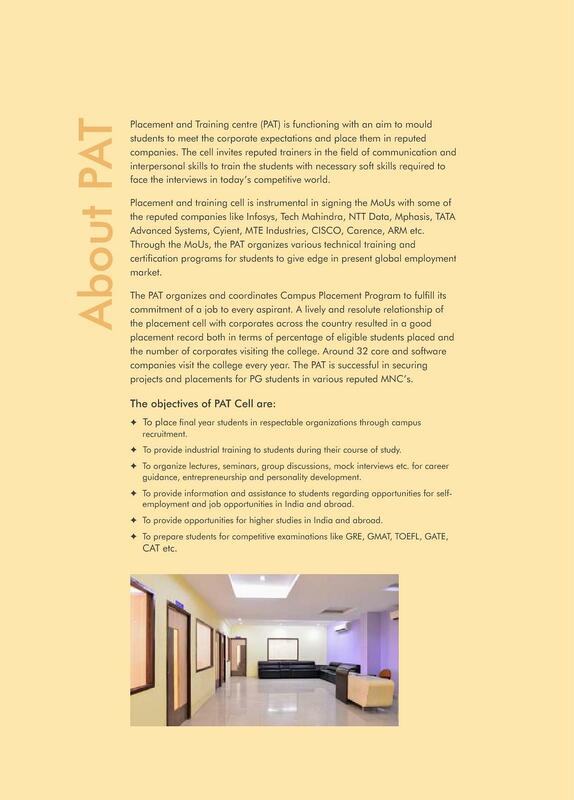 The PAT has also signed MoU’s with some of the reputed companies, such as including Infosys, Tech Mahindra, NTT Data, Mphasis, TATA Advanced Systems, Cyient, MTE Industries, CISCO, Cadence, Autodesk, DesignTek, ARM, NAL, MCEME etc. 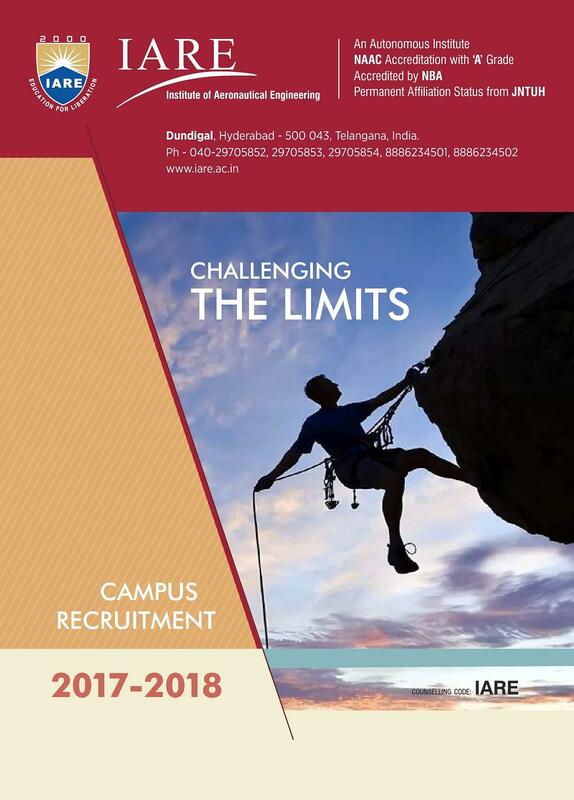 Some of the recruiters of Institute of Aeronautical Engineering (IARE) include Infosys, Aricent, ADP, Devathon, Tata, Mindtree, Tech Mahindra, Byju’s Classes, Blztime, HCL, Mphasis, Mediamint, Mroads, Tata Technologies, etc. According to me there is no bad about college everything is good. 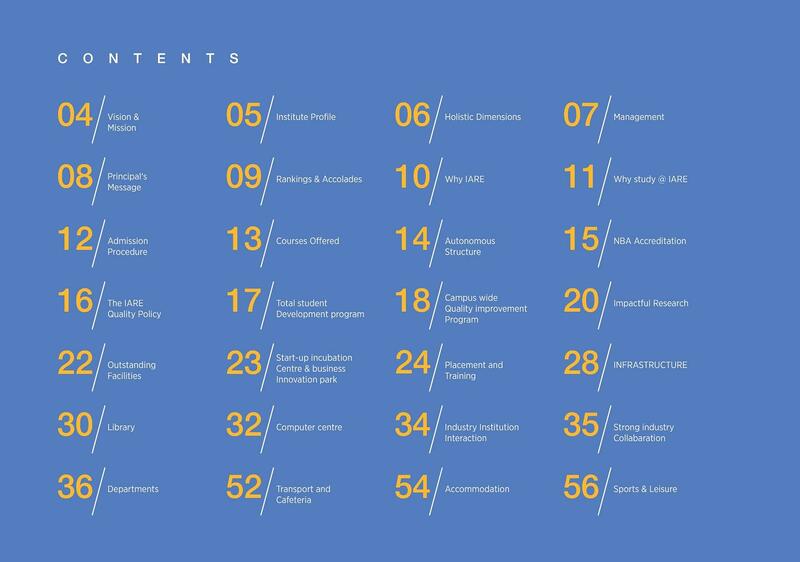 "Best college for it's discipline and it's working "
The college is top-ranked and an autonomous based college. It has good infrastructure and maintains good hospitality. 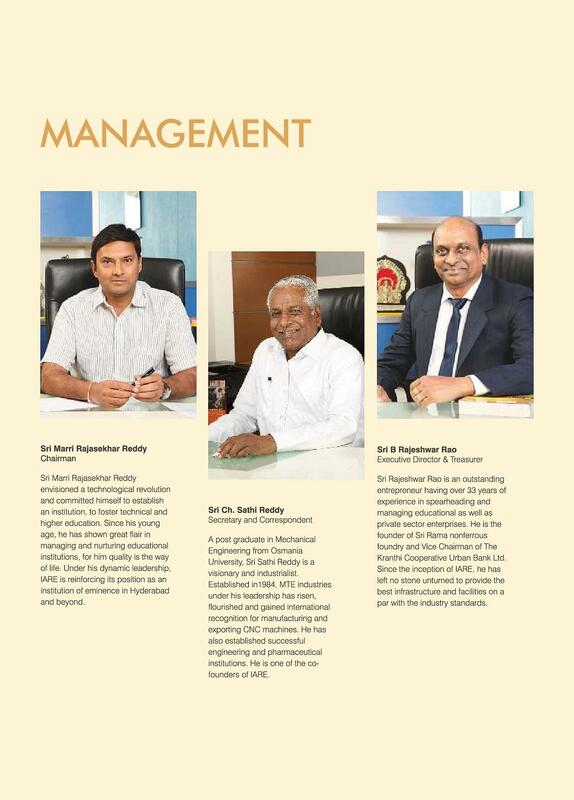 The faculty in the college are well experienced. Good lab facilities are provided. 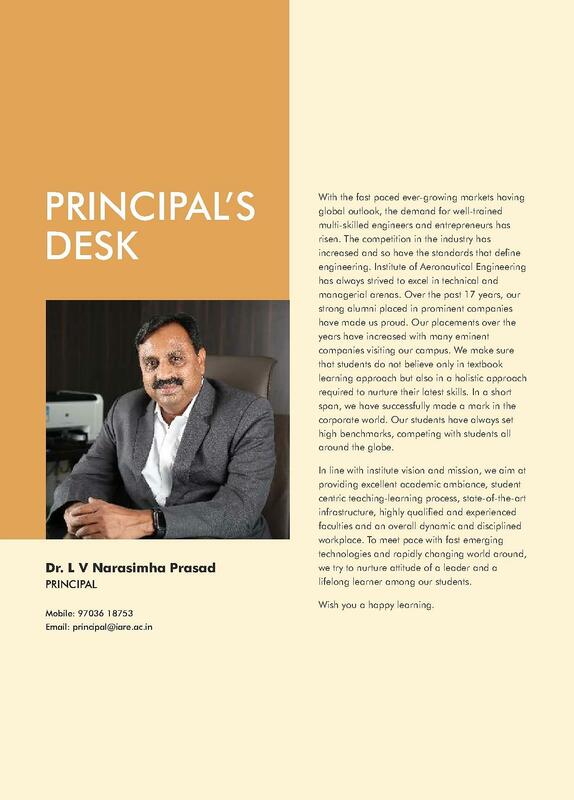 It provides good practical knowledge to the students and the college has a maker space.